A Hull software company has created a stunning piece of artwork to recognise the work of people in the emergency services. APD Communications works with police, fire and ambulance authorities across the country, supplying them with software and tech to help improve efficiency and performance. 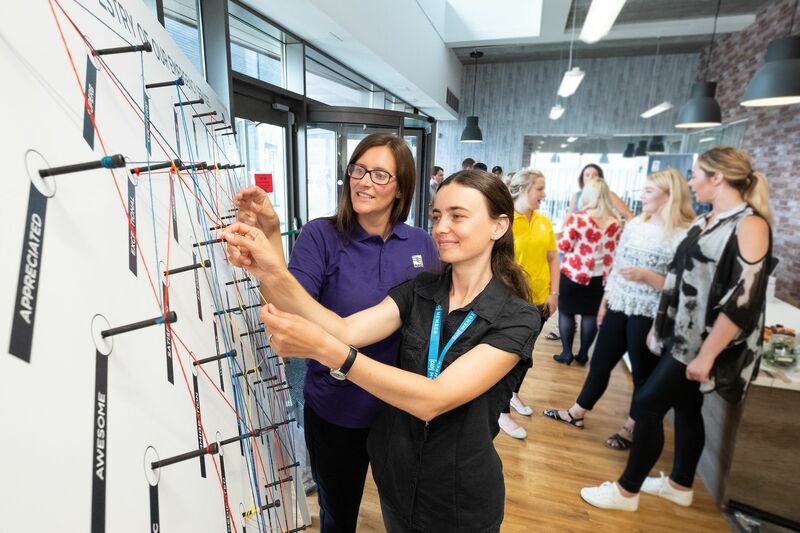 To mark the incredible work of those in the services, a tapestry went on display in Hull’s C4DI building to say thank you to the people who go out every day to save lives. 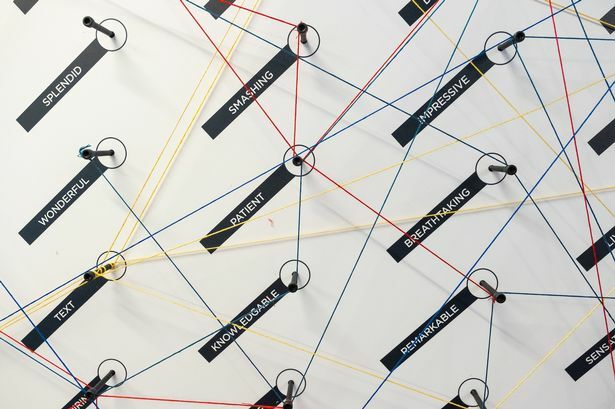 The 6ft x 4ft creation, called the Tapestry of the Emergency Services, is a bespoke canvas that houses 64 pegs, each associated with a meaningful word to describe our emergency services. The piece comes to life by wrapping four colours of thread, red, blue, yellow and green, representing each of the emergency services – police, fire, ambulance and coastguard – around these pegs to create a tapestry. The board was unveiled and the first threads placed at C4DI, and now has pride of place in APD’s reception at Newland Science Park, next to the University of Hull. 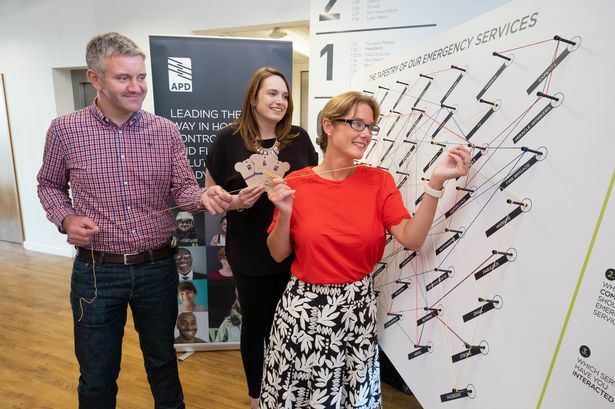 Jo Ward, development delivery manager at APD, said: “The tapestry is a fun and interactive way to promote our focus of the emergency services and creates a talking point for visitors to our offices. “It’s clear that the people who helped create the tapestry at C4DI feel very passionately about the emergency services. Words such as amazing, awesome and inspiring were used a lot. The company employs more than 100 staff, mainly software developers – the company’s super-talented “geeks with goals” – who create critical, life-saving software used by the police and other emergency services organisations.